Business Auto insurance is delivered on a flexible policy designed specifically for the variety of businesses that use vehicles. We write coverage with carriers rated “A” or better buy A. M. Best. On one policy we can provide coverage for your passenger cars, SUV’s, pickup trucks, vans, and commercial trucks like tractor-trailer combination units. Commercial auto insurance policies are designed to be comprehensive and flexible to meet the needs of the single vehicle owner, or the owner of hundreds of fleet vehicles. The coverage of a commercial vehicle insurance policy is similar to the coverage provided on a personal auto policy. However, there are important differences in coverage, exclusions, definitions, policy limits and the types of vehicles that are eligible. A business auto insurance policy is broad enough to cover the types of vehicles and wider variety of uses that occur in a business. Generally speaking, the biggest difference between personal and commercial auto insurance is the range of working vehicles that cannot be covered on a personal auto policy. The coverage and limits of the Business Auto insurance policy are similar to what we provide on personal auto policies. Bodily injury and property damage is typically provided as a minimum required coverage. Medical or no-fault coverage is available and provided where required by the client of law. The uninsured motorist, underinsured motorist, comprehensive and collision coverage, are available just like on personal auto policies. Where personal auto policies are rated based whether the vehicle is used for pleasure or commuting, a business auto insurance policy is rated based upon radius of operations, types of work the vehicle does, and the size and type of equipment that is part of the vehicle. Of course, commercial vehicle insurance is also rated based upon the actual vehicles and their cost new including the equipment that is attached. Driver records are used in the aggregate on the entire policy as a mechanism of premium determination. The better the claims and violation history and record of the business, the lower the business auto insurance premium can be. Most carriers rate based upon the claims history and the driving records of the drivers year over year. Common carrier trucking risks may also be rated by considering the cities and rating zones that the trucks travel through and to as another part of the rate making process. It is more complicated than this but this gives you an idea that many variables are considered when rating a business auto insurance policy. One of the primary distinctions we make is business auto insurance is the types of work the vehicles are asked to do. In addition to insuring private passenger vehicles, we also rate most commercial auto insurance based on whether the primary vehicle functions as a service, commercial, or retail delivery vehicle. Service vehicles, for example, are vehicles that transport employees and equipment to and from the place where work is being done. 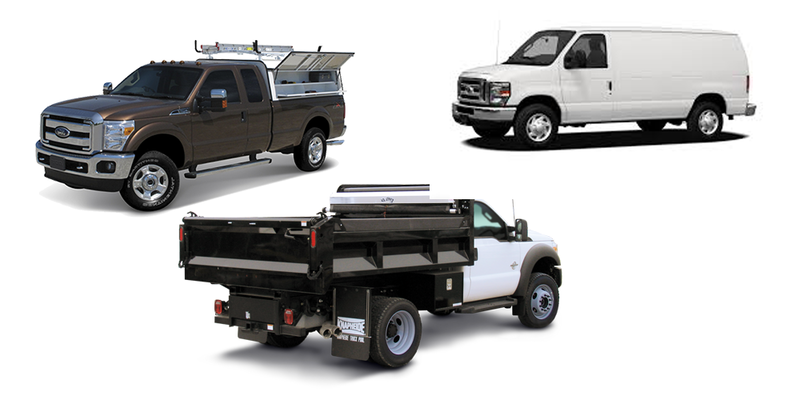 As categorized, commercial vehicles are vehicles that perform work. A wrecker is a vehicle that does work. A dump truck has a primary mission of moving materials to and from a work site and that makes it a vehicle rated in the commercial band of rates. A garbage truck is a similar vehicle. It carries a crew but the truck and the work it does are what is important. Tractor-trailer combination units used by a distributor to pickup and delivery merchandise is also considered a commercial rated vehicle because the value in this vehicle is its ability to move merchandise (rather than the driver). Retail rated vehicles are those that are used in delivering retail products to the retail customer and are typically rated in the retail category. A drug store that delivers medicine or medical appliances to the end-consumer would be rated in the retail vehicle category. Think of service, commercial, or retail rated business vehicles as finding their premium rate from bands or premium costs devoted exclusively to vehicles that are considered service vehicles, commercial vehicles, or retail delivery vehicles. Typical Risks where we can provide a Commercial Auto Insurance Quotation. Download the list. You can request a Commercial Auto Insurance Quote and get a price for quality insurance with quality carriers by clicking the highlighted link. As an independent insurance agent we have the choice of many carriers and will shop the coverage and cost for you. It is also helpful to know that I have almost forty years (40) years of direct insurance experience working with business owners just like you. Call 513-779-7920 Monday through Friday for more information and help in finding the quality and value you are seeking in your business auto insurance coverage.